I love this day and hope everyone is having a wonderful day curled up with hot cocoa and lussekatter! Have a wonderful, warm day! Thanks Carrie! I have slowly added saint celebrations into our home these years. This year though was the first time we celebrated St. Lucia. My girls loved the week with stories and baking and today doing a procession down our hallway with homemade wreaths set with little LED tea lights. 🙂 We turned down the lights, they walked and sang…It was beautiful! Thank you for all the information and resources– I couldn’t have done it without you! I have been reading your blog for a few years, but this is my first post. Aw, thank you Sheila! Your celebration sounds marvelous! Carrie, the link for Christine Natale’s story is broken. Any idea where I might find that story now? Thanks for letting me know! I will ask her! 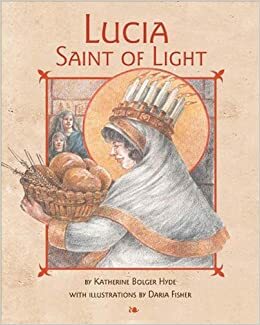 There is also a free story on here by Tizi for Santa Lucia.